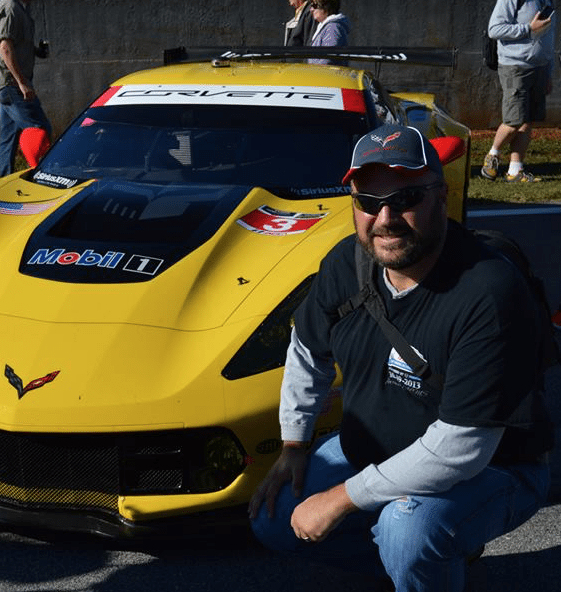 For the next several weeks, Corvsport.com will be featuring a series of articles showcasing the “Special Edition” Corvettes that have become an integral part of the brand’s history and mystique. 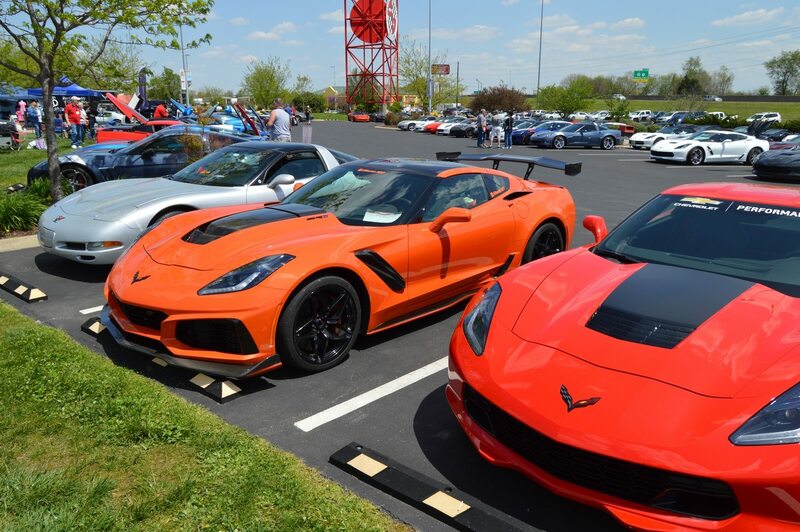 Each of these cars was introduced by Chevrolet as a genuine “special edition” or “collectors car” during the model year it was first introduced, and many of the cars that we’ll showcase in this series have become quite valuable among Corvette collectors around the world. We begin this series with the 1988 C4 Corvette 35th Anniversary Edition. While not exactly a “collector’s edition” Corvette in its own right, it nonetheless has become a uniquely identifiable and collectible Corvette from the fourth-generation era. As indicated by its title, 1988 marked the 35th anniversary for Corvette, and so it was decided that Chevrolet should commemorate the milestone by introducing an anniversary-edition model. While this concept was not new to Corvette (Chevrolet had previously introduced a “Silver Anniversary” Corvette in 1978), this anniversary car was the first of its kind in a decade, given that Chevrolet opted not to manufacture a Corvette in 1983 (which would have marked Corvette’s 30th anniversary). The 35th Anniversary Edition Corvette was very much a car of its time. It came finished in a “Miami-Vice-esque” triple white finish. The car featured a bright white body that was offset by a black roof halo and windshield frame accompanied by a transparent acrylic roof panel. Most of the car’s exterior accents were also finished in bright white, including the door handles, mirrors, the bodyside moldings and the car’s 17-inch wheels. On its interior, the car received white leather seats, a white center console cover, white interior door trim and a white steering wheel. Even the floormats, which were finished in graphite, included a thin white band around their edges. 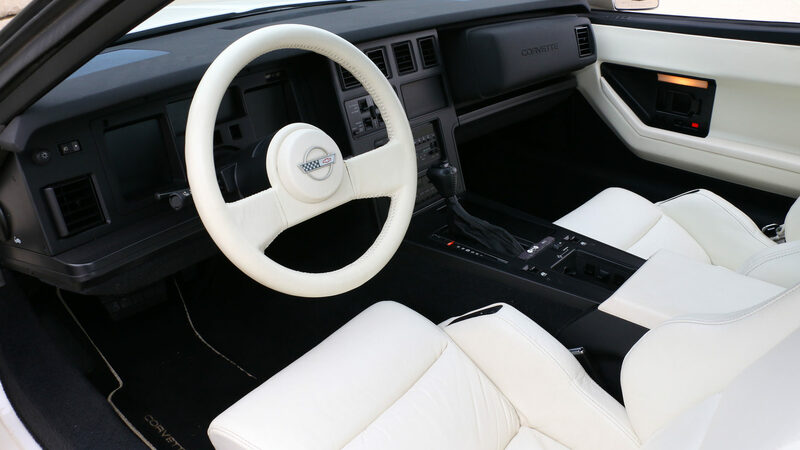 The interior of a 1988 35th Anniversary Edition Corvette. White the distinctive look of the car set it apart from other 1988 Corvettes, the car also received a number of other appointments as part of its Anniversary packaging. 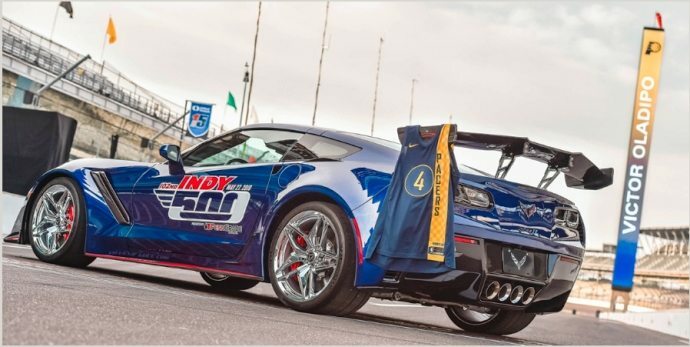 Each Anniversary Edition Corvette received commemorative badges which were installed just above the body side gills. Each car was also fitted with a commemorative console-mounted anniversary plaque just behind the shifter. The car also received a number of features including: dual six-way power sports seats (again, finished in white), automatic climate control, a GM Delco/Bose audio system and heated door mirrors. The 1988 Corvette 35th Anniversary Edition featured special badging on its front fenders (shown here) and on the center console behind the shifter. Like all 1988 Corvettes coupes that year, the 35th Anniversary Corvette could be ordered with an optional 3.07:1 performance rear axle. When so equipped, the car also included an improved muffler system that provided less restrictive airflow, resulting in a bump of 5 hp to 245 hp for so-optioned models. All other 1988 Corvettes still made 240 hp. 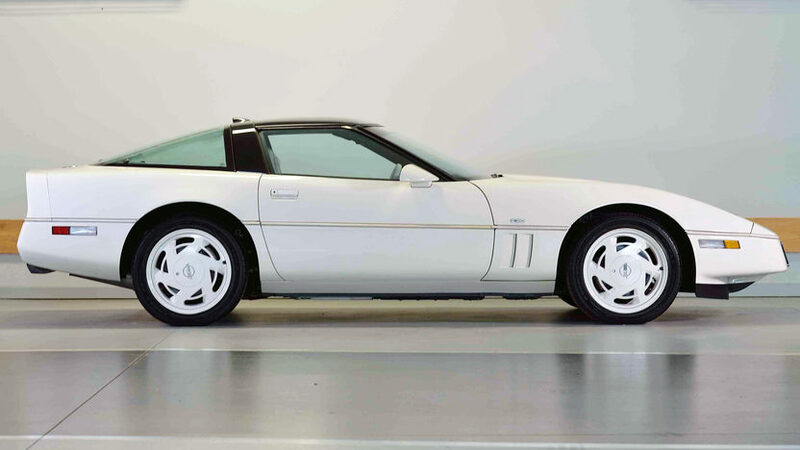 This 1988 35th Anniversary Edition Corvette had the distinction of also being the 35th Corvette built in 1988. The car was specially badged by GM to recognize the early milestone in the 1988 model year production run. When the car was first conceived, Chevrolet announced that they would manufacture a limited production of just 2,000 Special Anniversary Corvettes for the occasion. Further, it was announced that this anniversary model would only be offered as a coupe. The car could be ordered by consumers by selecting the Regular Production Option (RPO) Z01 – “The 35th Special Edition Package (coupe)” at an additional cost of $4,795.00 over the 1988 Corvette Coupe’s base price of $29,489.00. As a homage to the original 1953 Motorama Corvette, which was first introduced at the Waldorf Astoria Hotel in New York City, Chevrolet executives made the decision to introduce the 1988 35th Anniversary Corvette at the New York Auto Show on April 1, 1988. Though it looks a bit dated today, the 35th Anniversary Corvette was extremely well received when unveiled at the Auto Show and quickly sold out. In total, Chevrolet built 2,050 examples of the car. 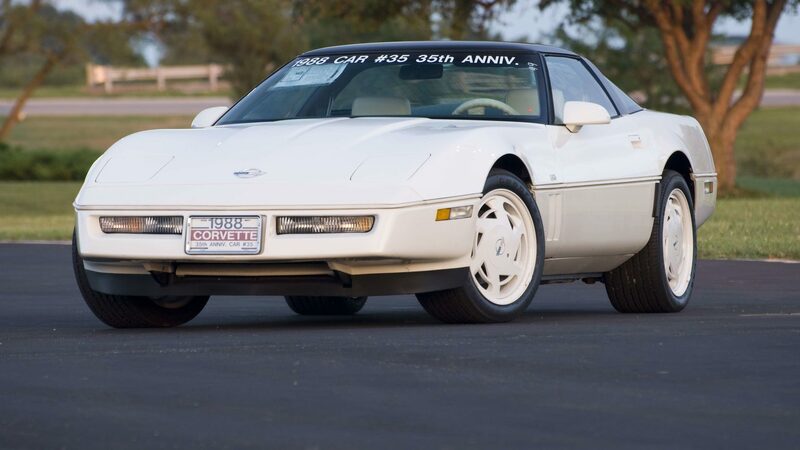 A 1988 35th Anniversary Edition Corvette crossed the auction block at Barrett Jackson, selling for $350,000.00! Admittedly, the car was sold to raise money for the American Heart Association, but it still proves the value these cars still have for collectors today. Today, these cars continue to retain their value. Most 35th Anniversary Corvettes listed for sale range from $25,000 – 35,000, with some especially clean models selling for $40,000 or even more! While the condition, mileage and maintenance of the car will cause variation in the car’s price, this model is still one of the more highly sought after fourth-generation Corvettes, which helps keep its market value higher than other Corvette its age. 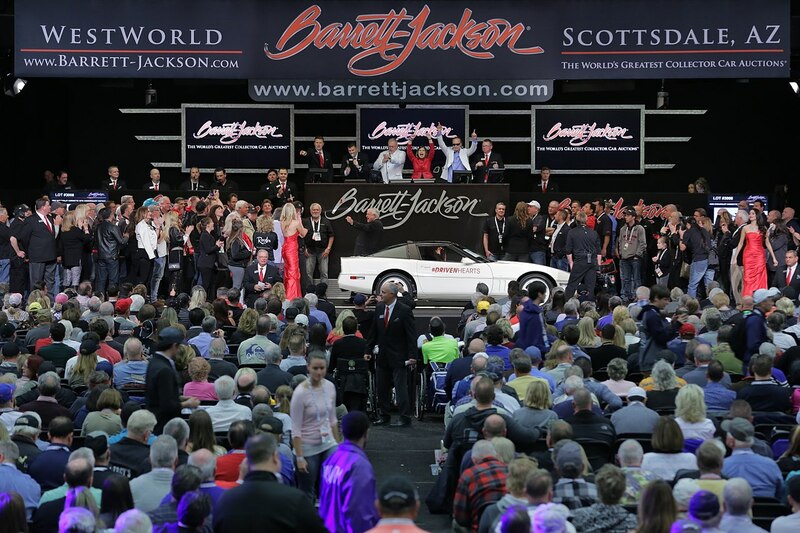 In January, 2018, a 35th Anniversary Corvette sold at the Barrett-Jackson Auction (to help raise money for the American Heart Association) for $350,000! 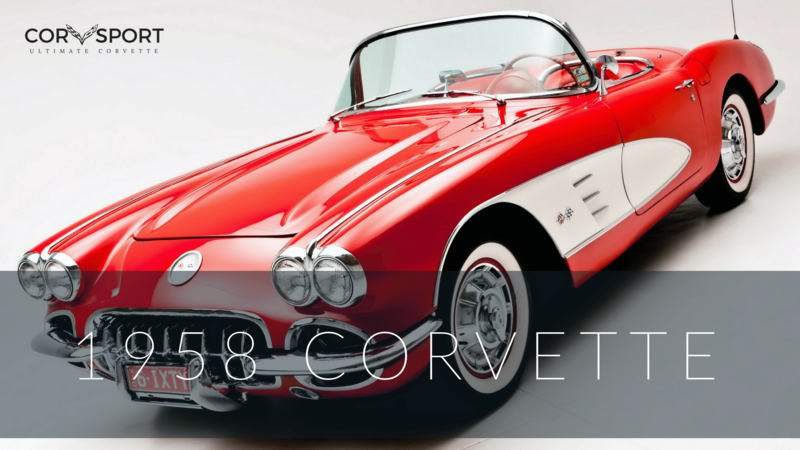 Corvettes For Sale: Fully Restored 1954 Corvette!